Our campaign was strategic, structured and relentless! 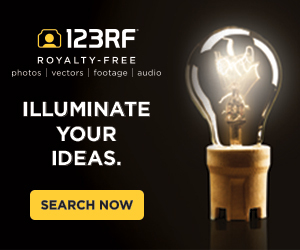 Find out how we ran the successful marketing campaign that drove thousands of fans to vote EVERYDAY (that’s right!) 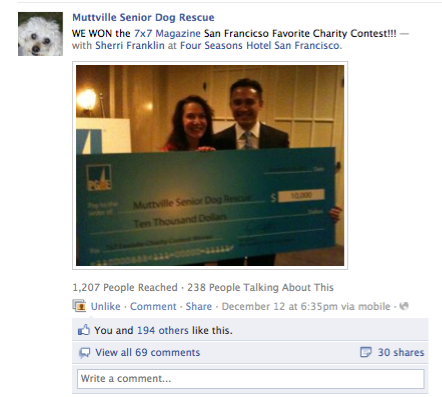 for Muttville and led to being named San Francisco’s Favorite Charity in 7×7 Magazine. 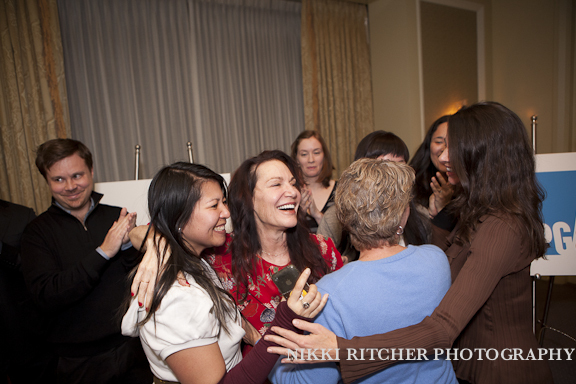 The night that 7×7 Magazine announced the winner of their San Francisco Favorite Charity contest, the Muttville Team Leaders honored to be present at the announcement party, Patty Stanton, Anne Lauck, Caroline Kaps, and myself, along with our mentor, founder Sherri Franklin, were already beaming with excitement and pride to be one of the seven finalists in a room of amazing non profit organizations: Hearing and Speech Center of Northern California, Lyon-Martin Health Services, MYEEP, Minds Matter, Saving Grace Rescue, and the Asian Women’s Shelter. 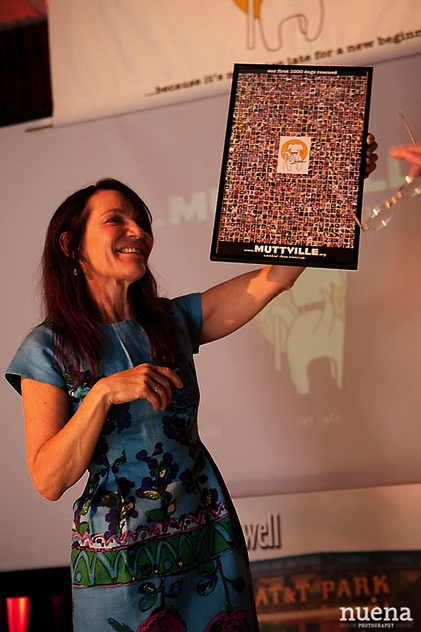 When the announcement came and the big 8 foot check had Muttville’s name on it, we were floored, overwhelmed with happiness and joy, and most of all, grateful and honored. Sherri really did almost fall to her knees from weakness as she smiled and tried to speak into the microphone! 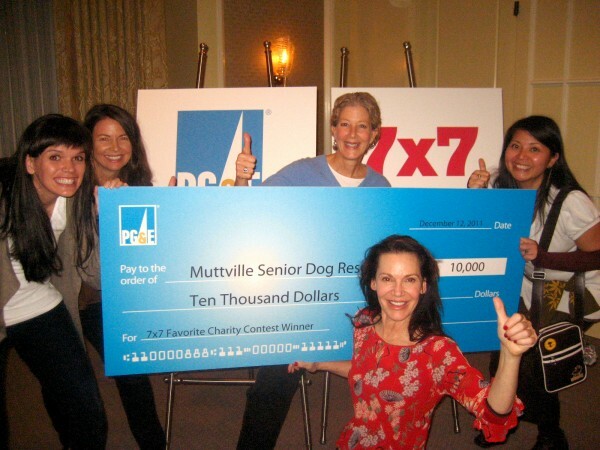 As we look back on the day when we first received the announcement of a contest by 7×7 to win a grant generously donated by PG&E for $10,000, in October, we knew this was an opportunity for Muttville, not just financially but the connection to 7×7 and the potential press in 2012 could really bring us new exposure to a wider audience. 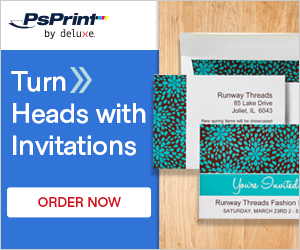 A social media and online email marketing campaign was in the works immediately. Since voting was everyday, we needed to be dedicated to daily posts and multiple daily tweets plus working in a newsletter campaign that didn’t pound our supporters over the head too often, nor did we want to put out too many messages to our subscribers and drown out important messages. 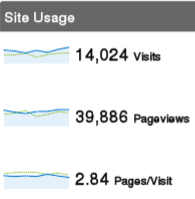 Muttville had a system and schedule in place for blogs and email marketing. 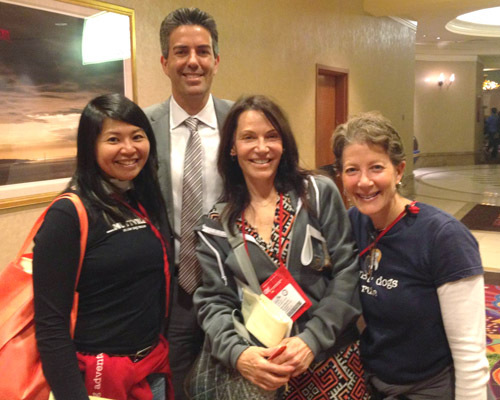 Therefore Muttville’s communication with supporters via email and social media was very consistent. Subscribers already looked forward to our regular communication, such as weekly blog series Success Stories and Adopted Mutts of the Week, along with newsletters with stories from founder Sherri Franklin. 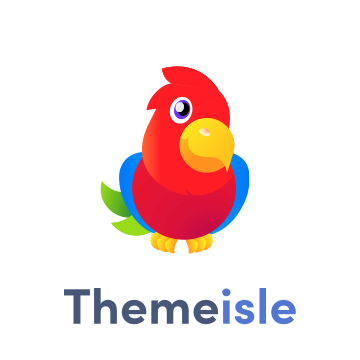 Our social media is always very active, with every blog post, event, and newsletter being shared to Facebook and Twitter immediately. Our interaction with fans and supporters is also strong. 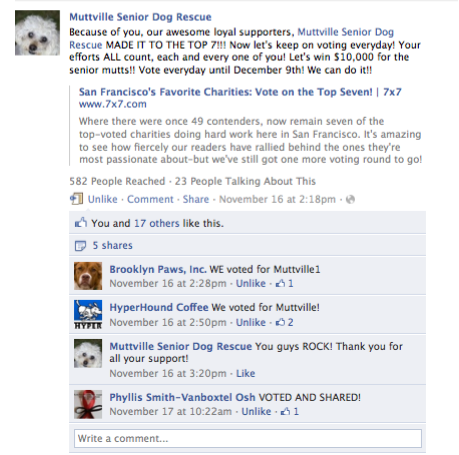 Facebook interaction is on average 90% of posts, and Muttville engages with its fans on Facebook everyday. 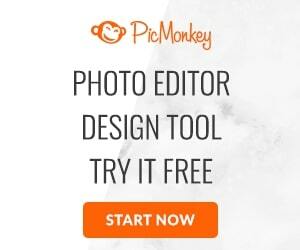 The Facebook page gains 100 + new Likes every week. 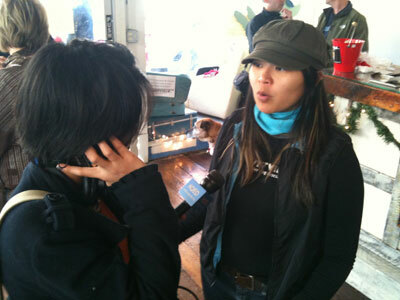 Muttville has outreach events every weekend, and is accessible both offline and online. Volunteers interface with people in a variety of ways: events, traditional mail, email, and Social Media. 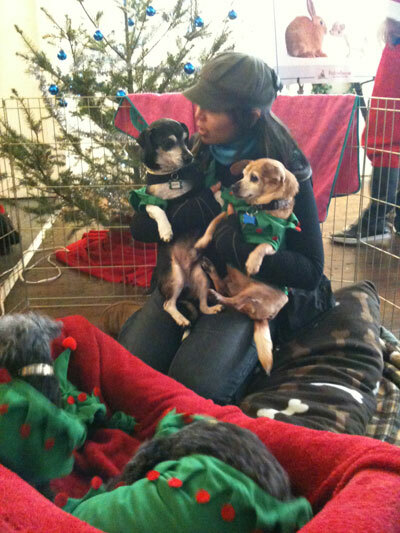 And fosters meet potential adopters throughout the week, which means new folks being introduced to Muttville. When time came to drive a campaign that required daily participation, we knew our fans would rally for us and we could be in the top 49. With every post reminder to vote, practically every single post was liked and commented. Folks even thanked us for the reminder! We diligently posted on Facebook every single day. We tweeted several times a day every day. 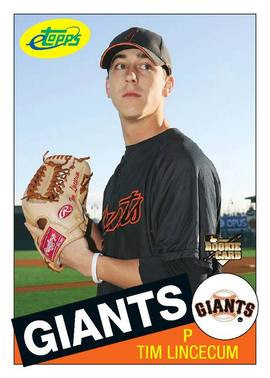 We got a suggestion from a supporter, “Why not put it smack dab on your front page?” Why not? 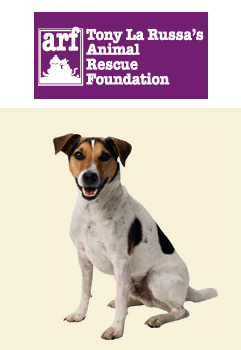 So we added it right below our call to action “doggie chain”. We let people know what $10,000 can provide to Muttville: much needed surgery for Timminy, physical therapy for Lady Tara, eye surgery for Casper. 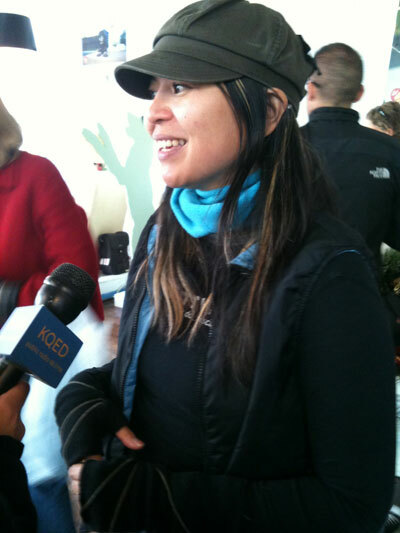 We strive to let folks know in detail where funds and donations are spent. When the announcement that we made the Top 7 was made in November, we knew that we really had do turn on the turbo to maintain another month of daily voting pleas! This was important and we needed our supporters to know! We launched the email marketing campaign and thanked our supporters for their daily votes, and kept the spirits high. Through the newsletter and the home page, Muttville’s website gave people the option to sign up for daily email reminders to vote. 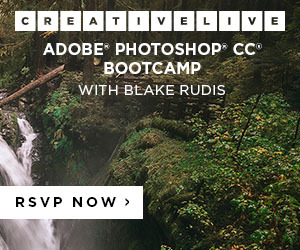 Hundreds of people signed up! So Muttville was reminding people by email, Facebook, and Twitter every single day. That daily activity was reaching over 5000 people with each reminder. That number doesn’t even including others forwarding on to their friends and social networks. We often received messages from our supporters saying that they sent daily reminders to others too! The key effort in this campaign was simply communication. Our fans and supporters from all over the world were ready to help the senior dogs, we just needed to reach as many people as possible, and reach them EVERY DAY without tiring the message or nagging for support. Scroll through our Facebook page to see different ways we posted the message. Often it was casual, but we always included a personal note, and we tried to always “like” every comment to let fans know that we are always listening and grateful for the support. Interaction and engagement is key in maintaining and building an active social network. 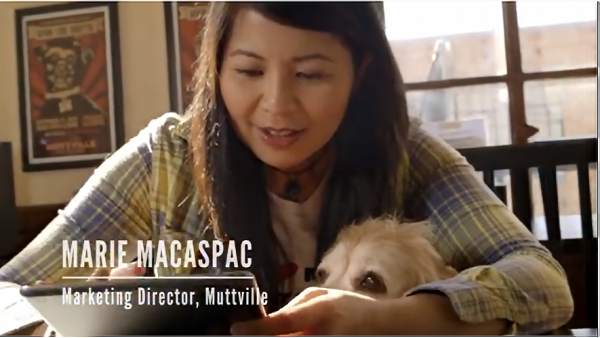 We want everyone to feel they are an important part of Muttville. 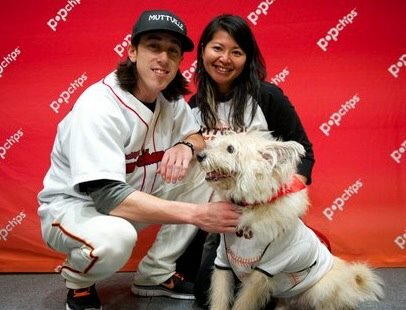 During this campaign we had other big announcements that launched: Our annual Matching Grant Challenge, plus Muttville’s first ever Pup up Adopt Shop. It was easy for the messages to get muddled or drown each other out, or worse overwhelm supporters. 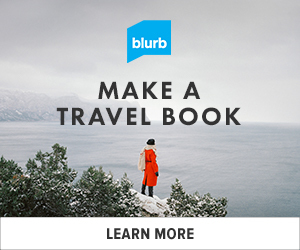 We kept each message and call-to-action separate and gave each its own voice. 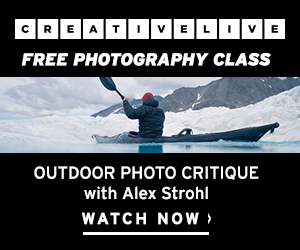 There was a different tone to each campaign as well as a different focus in its strategic effort. It was really amazing to see the number of Likes posted within minutes and throughout the night! We could barely keep up reading the comments. And the 30 shares was just unbelievable! 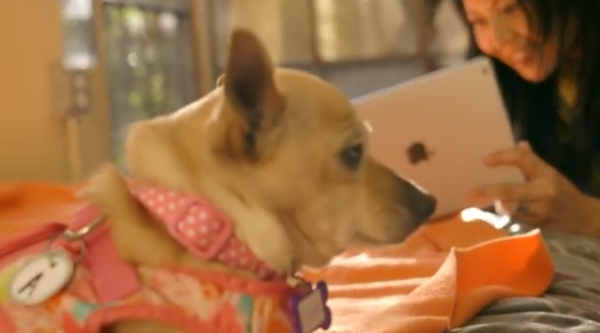 Keeping our valued supporters close to the excitement in the moment with Muttville was very important, and we could feel them right there with us, thanks to Facebook. 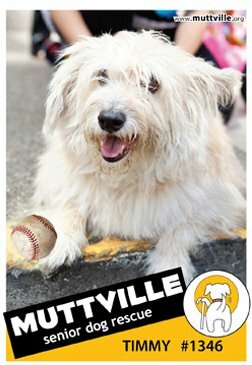 I’ve been asked by several organizations to give any advice and insight as to how Muttville got all those votes. I’d love to share social media networking tips with all who contact me. One thing that must be noted: dog lovers and animal advocates are some of the most passionate and dedicated folks I have ever known. Perhaps because the love of animals is one thing we all can relate to and have in common, regardless of culture, status, age, gender, or history. Muttville’s special niche, senior dogs, might also remind us all of our own mortality. Its not over yet! 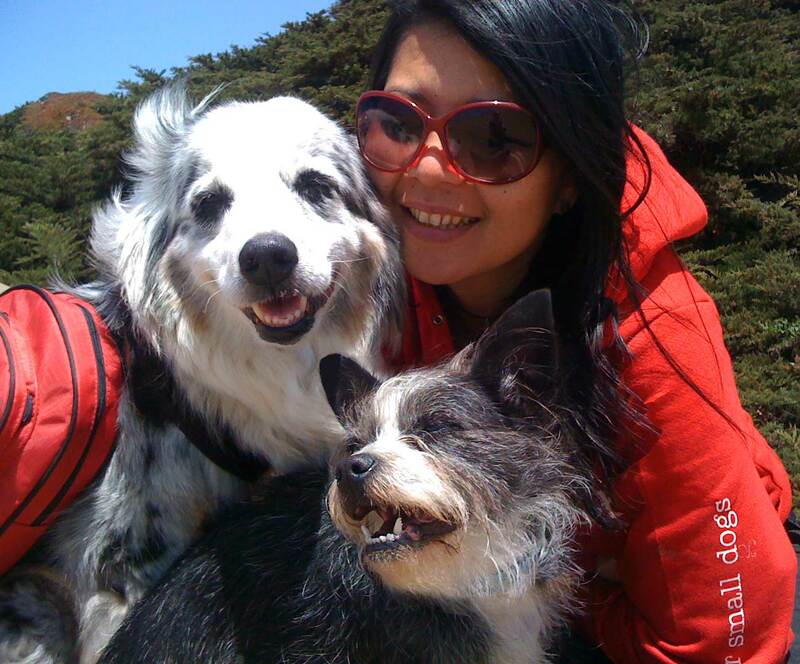 We continue to thank supporters, keep them in the loop, and share Muttville’s successes with them everyday. 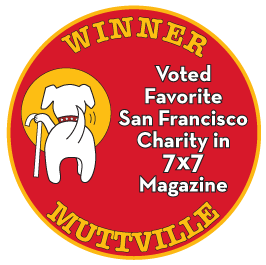 We hope to share more news when Muttville is featured in the March 2012 issue of 7×7 Magazine and the organiztion can build new connections with the Bay Area, thanks to this special honor.